Sunday, June 24: Jakesprinter’s Sunday Post challenge this week is village. He writes: A village is a clustered human settlement or community, larger than a hamlet with the population ranging from a few hundred to a few thousand (sometimes tens of thousands). Although many patterns of village life have existed, the typical village was small, consisting of perhaps 5 to 30 families. 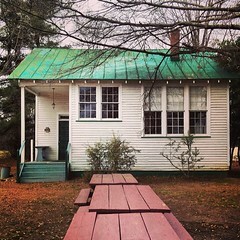 Homes were situated together for sociability and defence, and land surrounding the living quarters was farmed. Traditional fishing villages were based on artisan fishing and located adjacent to fishing grounds. 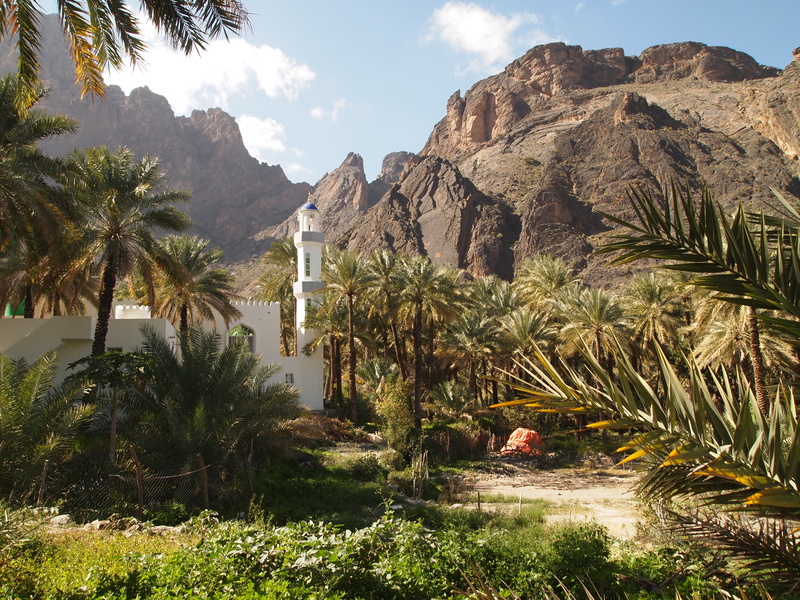 I have a number of favorite villages in Oman, but my absolute favorite is the beautiful village of Balad Sayt in the middle of the Hajar Mountains in Wadi Bani Awf. It’s not an easy place to get to. 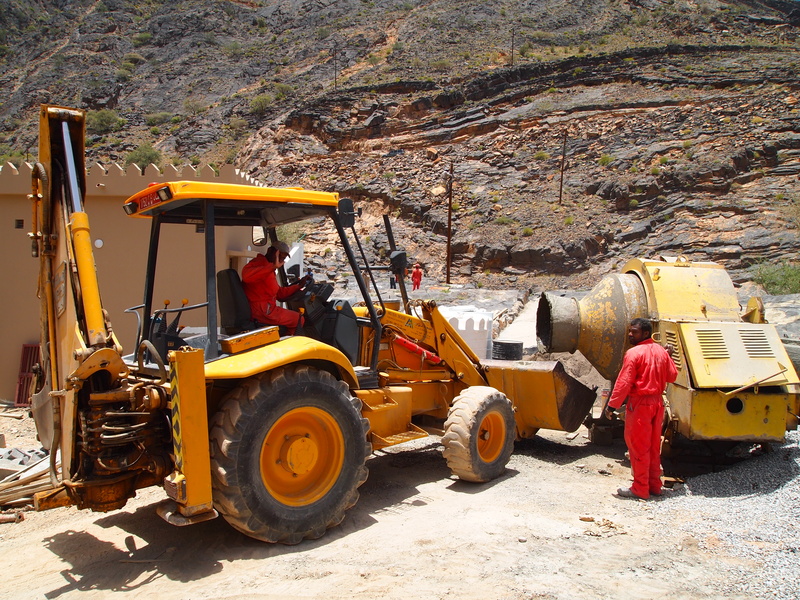 You have to drive through perilous unpaved mountain roads on steep grades and hairpin turns. I almost killed myself and my sons the first time I drove here and just two weekends ago, my students told me one young university student, a girl named Aisha, and her brother died when their car went over a cliff. Very sad, but not surprising. It’s a dangerous road. 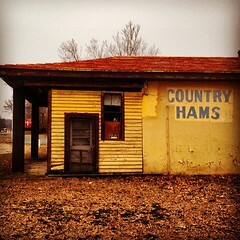 What makes the drive worth the danger is this little village. There isn’t much here but some houses, a mosque, probably a store, though I’ve never seen one, and a lot of plantations. 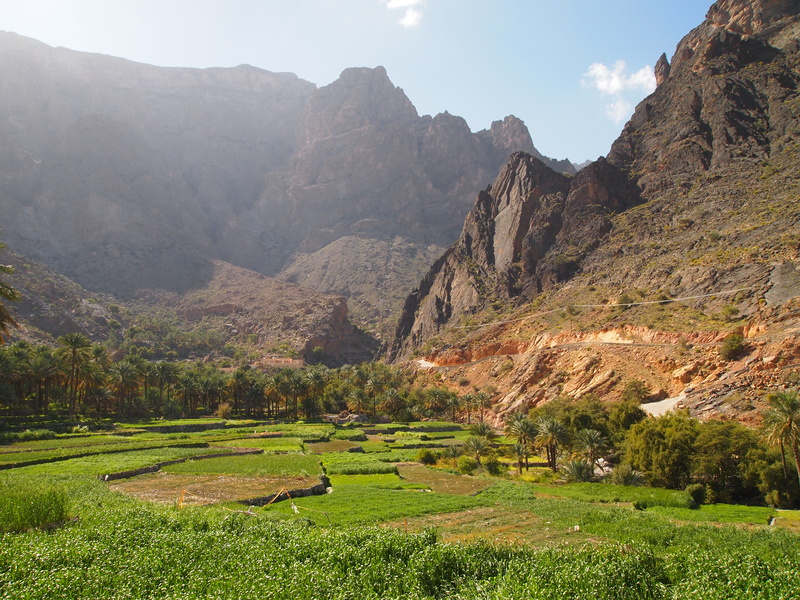 The idyllic setting is in the midst of a bowl carved out of the steep Hajar Mountains. 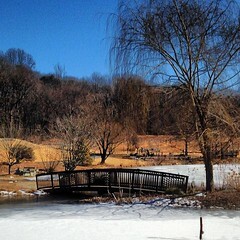 It’s peaceful & picturesque. 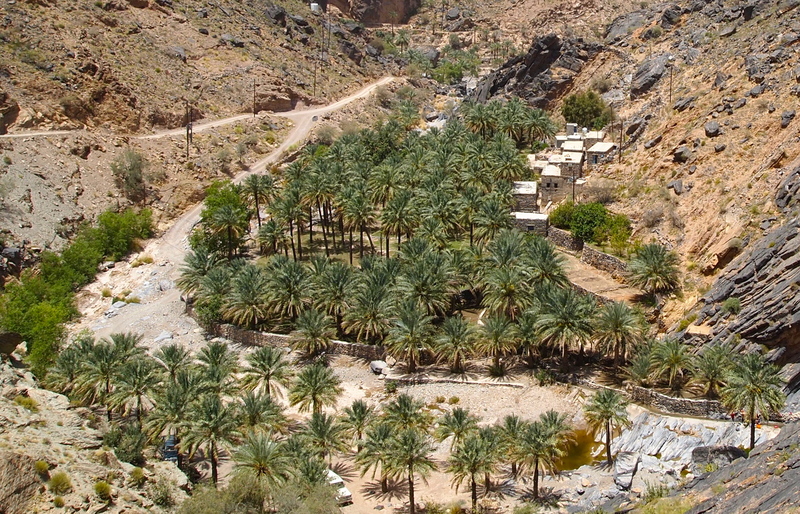 Here is the village of Balad Sayt. Friday, May 18: Hands. Hands can be instrumental in a photo – they emphasize, they hide, they reveal. They can be the star of the show, or just a prop to help the main attraction stand out better. Share a picture that has a HAND in it with everyone! Here are some hands for this week’s challenge. 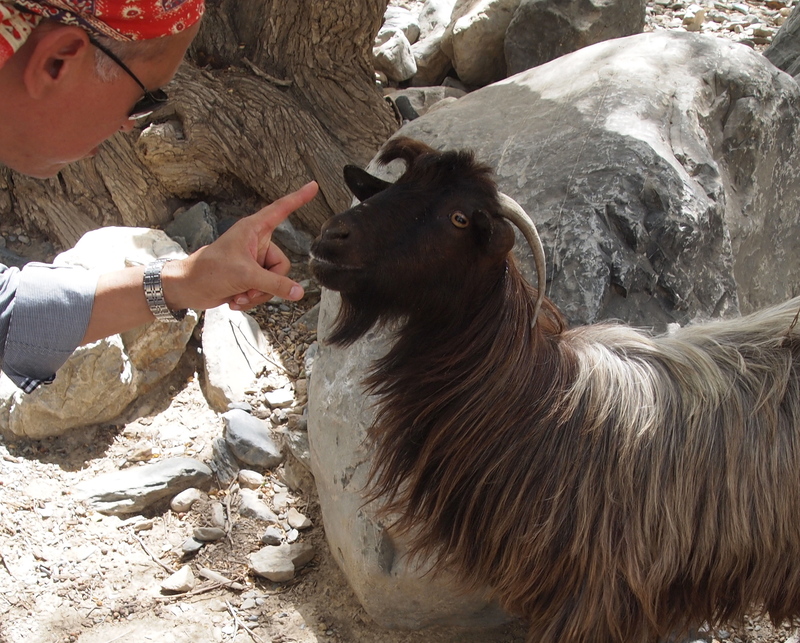 My friend Mario reprimands a goat for trying to steal our picnic lunch. 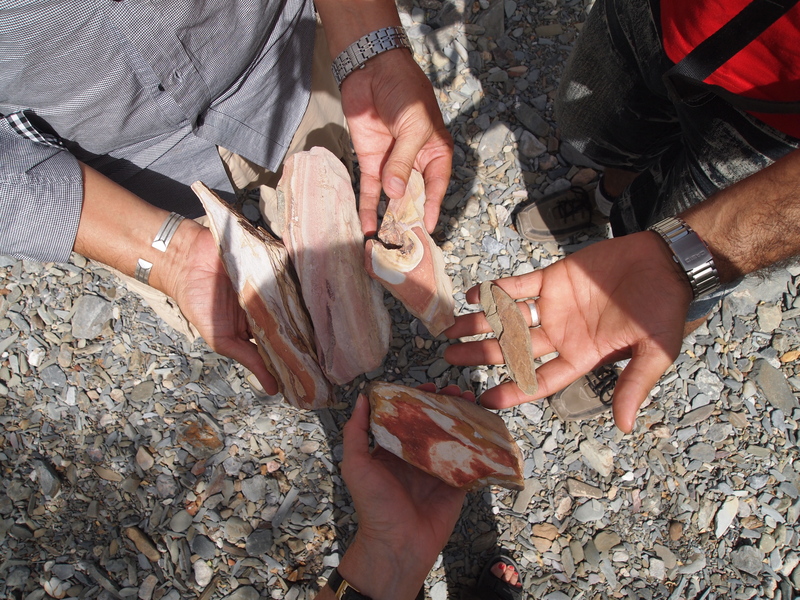 Here are some hands holding some colorful rocks found in the wadi at Wadi Bani Awf. 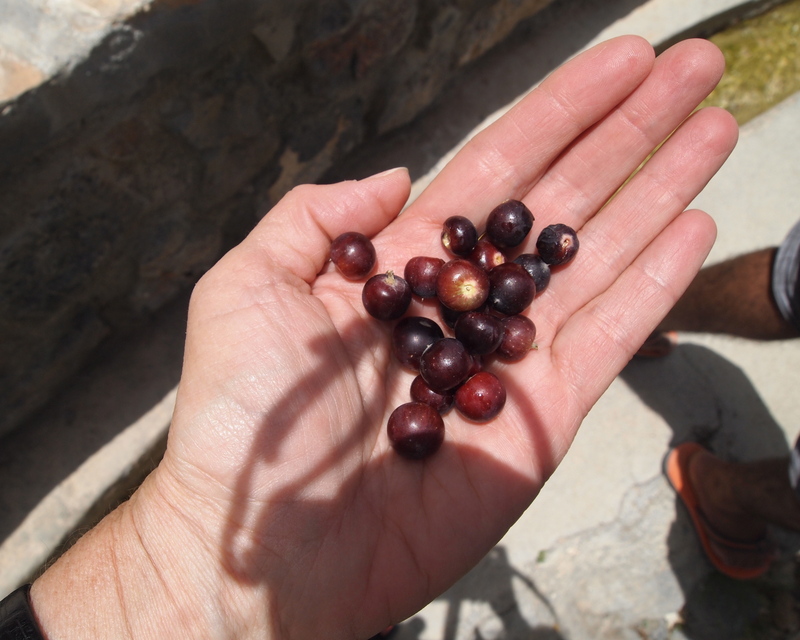 Finally, here is a hand holding some wild berries found in the mountaintop village of Wekan. 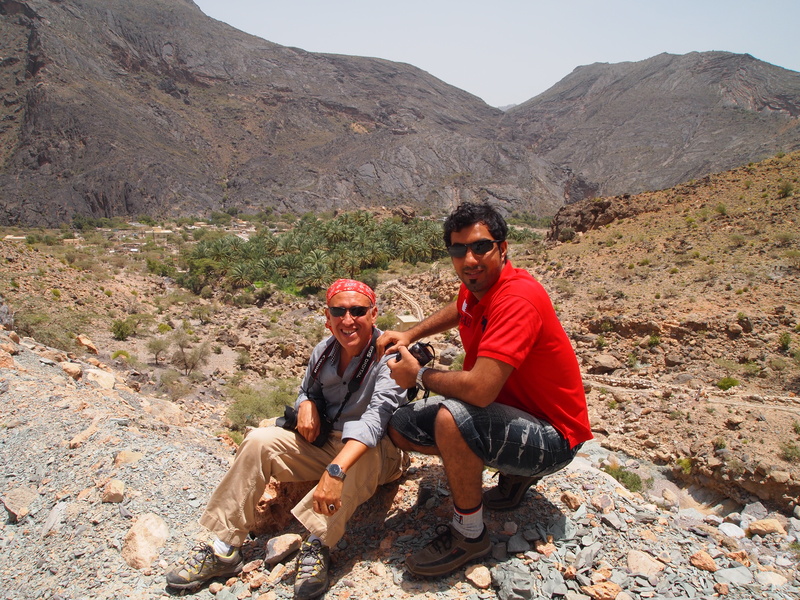 Thursday, May 17: Today Mario, his Omani friend Sultan, and I embark, once again, on the road trip of all road trips across the western Hajar mountains through Wadi Bani Awf, to Balad Sayt, and on to Al Musanaah. We begin our journey around 9:30 in the morning, stocking up on picnic items, plenty of water, and a cooler full of ice. I went on this journey once in January with my sons and then again on April 26 with my friends Tom and Kathy. This is the first time I’ve taken Mario and, surprisingly, the first time that Sultan, a native-born Omani, has ever been. 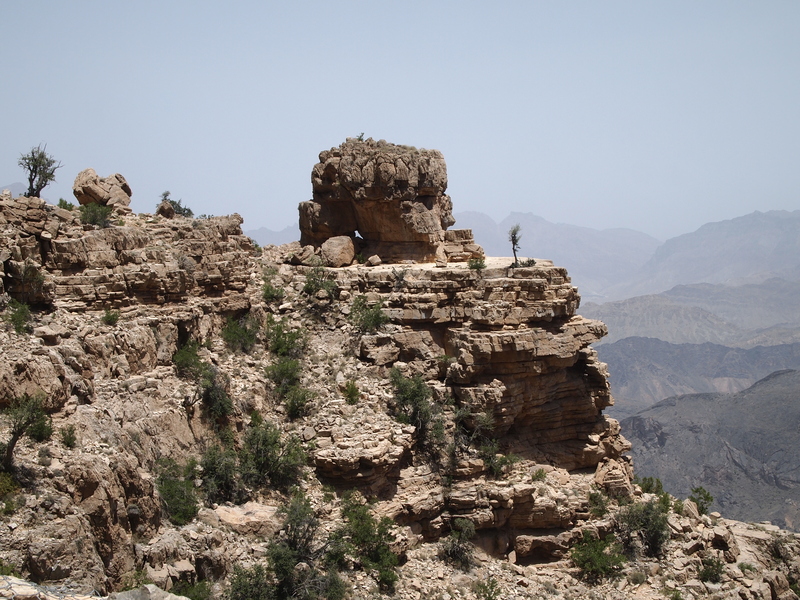 We drive towards Al Hamra and then up the mountain to the overlook point, where we get out to take pictures and get buffeted about by a strong wind. Then we start our drive, past the point where I almost drove myself and my two sweet boys over the edge. 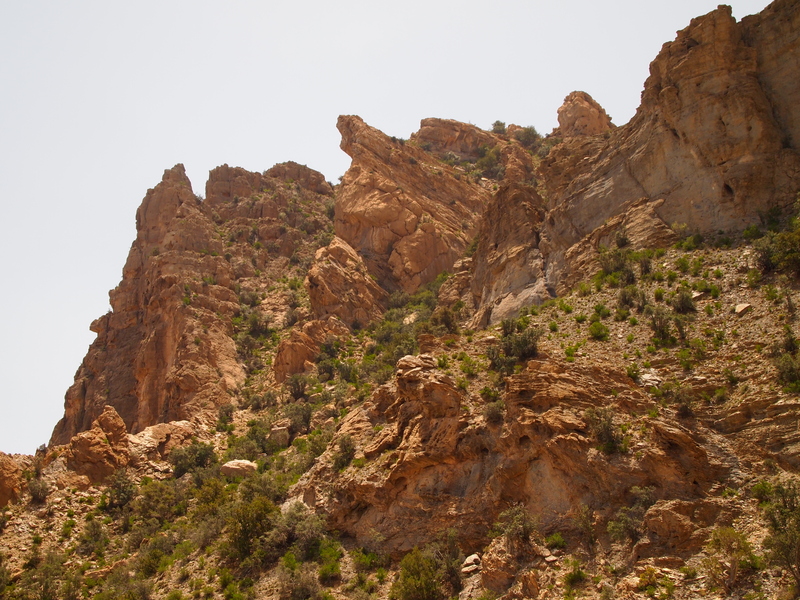 We drive down the mountain into Wadi Bani Awf, stopping along the way to admire the views, to inspect the geology of the mountains, and to take photos. I think Sultan is quite surprised by this place as he’s never been before. I have to admit I feel kinda like a tough girl taking this native Omani on this treacherous drive and introducing him to a part of Oman he’s never seen before. 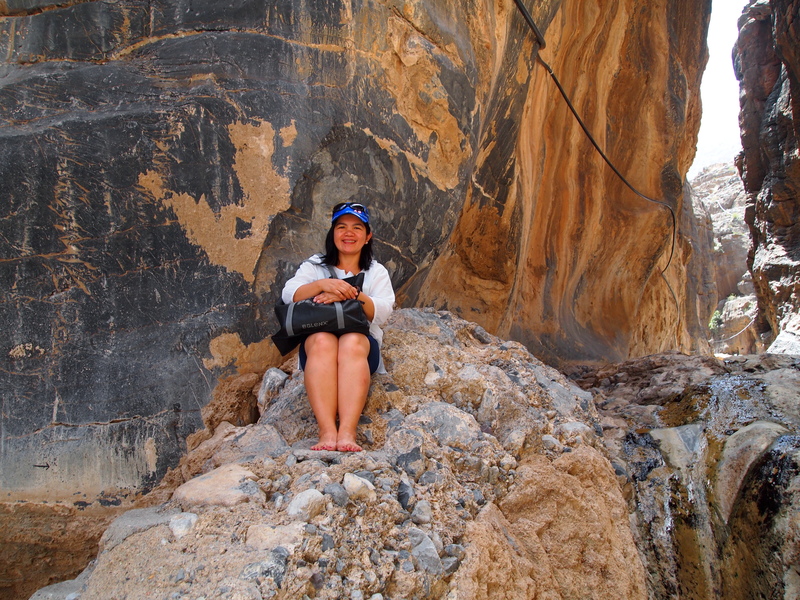 We continue to the bottom of the wadi where the rocks seem to have been rearranged from recent rains. Even the place I parked as recently as 3 weeks ago looks like a different terrain altogether. I tell Mario and Sultan they might want to approach Balad Sayt through the canyon. Since I know Mario will not want to risk dropping his very expensive camera in one of the pools in the canyon, I suggest they can go through the canyon and leave their cameras in my car, while I drive the long way to the village. They agree that’s what they’ll do. Before I’m able to pull over to let them out, I drive over quite a large pile of rocks in the wadi. The rocks hit the bottom of my car with a loud bang and scrape. I back up and rearrange the car in a different spot and let Mario and Sultan out to walk and wade through the canyon. I take off by myself to drive up the steep mountain. However, as soon as I drop them off, I hear a high-pitched squealing noise; it almost sounds like a loud crazy bird chirping. I’m thinking, with not a little panic, WHAT THE H*** IS THAT NOISE!!?? As I always do when I am confronted with the possibility of any kind of car trouble, I try to ignore the sound and hope it will go away. It doesn’t. It gets louder and continues to chirp loudly as long as I am driving. In the village, I drive to the point where the canyon empties into the village, and I encounter Mario and Sultan coming out. I have parked my car in an inappropriate spot, so I hop back in to find another parking spot. As I drive up the hill, the insistent chirping has now become more shrill, and I am feeling a true panic attack coming on. WHAT CAN IT BE? I know deep in my gut that whatever it was that hit the bottom of my car is probably responsible, but I continue to deceive myself into thinking THERE IS NOTHING WRONG WITH MY CAR!! THERE CAN’T BE!! I keep seeing dollar signs flashing in my mind and GREECE with a big red X through it. Finally, I park the car and wander around the village with Mario and Sultan. For a while at least, I can forget about the car and hope that it will correct itself while it is parked. HA!! I know this won’t happen, but there’s always wishful thinking. In the village, hordes of Pakistani workmen in bright red coveralls are working digging up the streets and driving a big backhoe or bulldozer, some yellow piece of construction equipment. We finally guess they are putting in a sewage system. Or something. 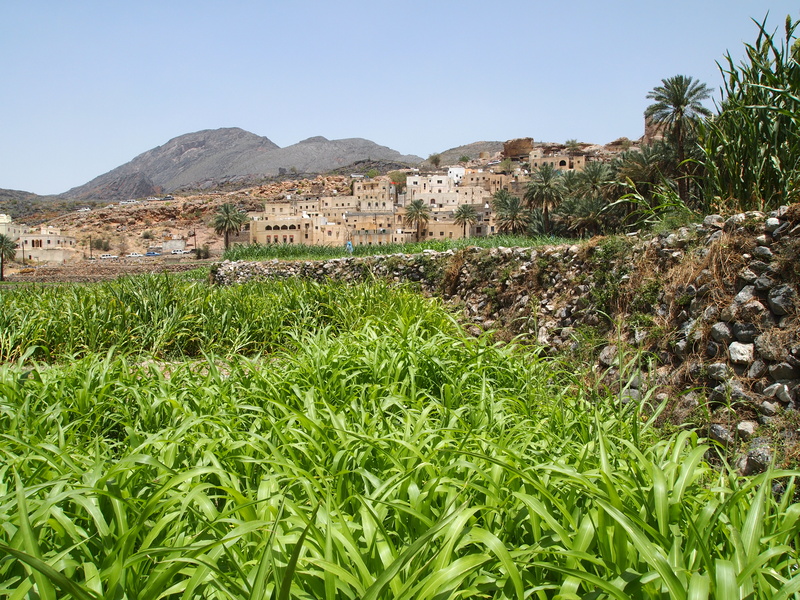 We wander through part of the village and then into the plantations, where we can take pictures of date palms, banana plants, onions, corn, sorghum, roses, and glowing green fields set against the backdrop of the pretty Balad Sayt, which sits on a hill. After a long while, we wander back to my car, which is now a toasty little oven, and get in. I start the engine, hoping the sound will have disappeared, but as soon as I begin moving, it is there again. Chirpy squeal!! Chirpy squeal!! ARGHHH!! 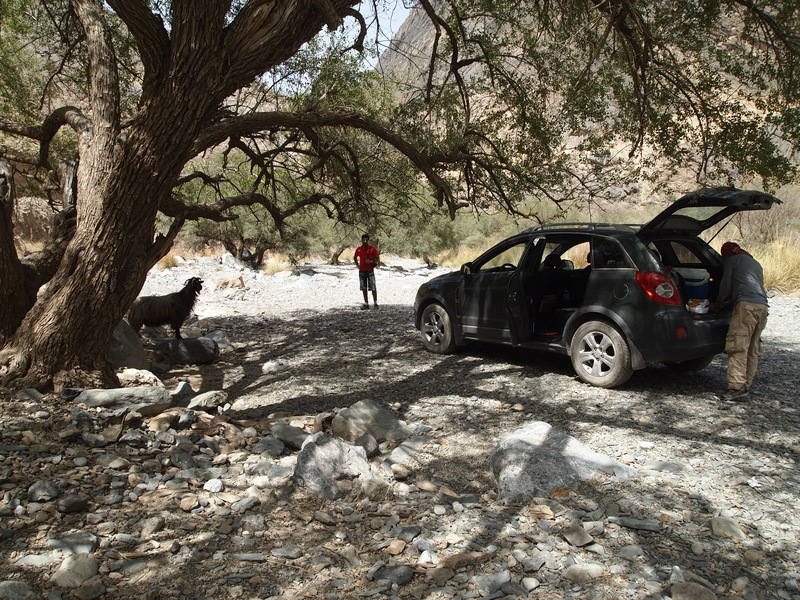 We are smack dab in the middle of Wadi Bani Awf, and this is not a place to have car trouble. We still have over 30 km to go over treacherous gravel mountain roads. All we can do is hope the car will get us out of this place. 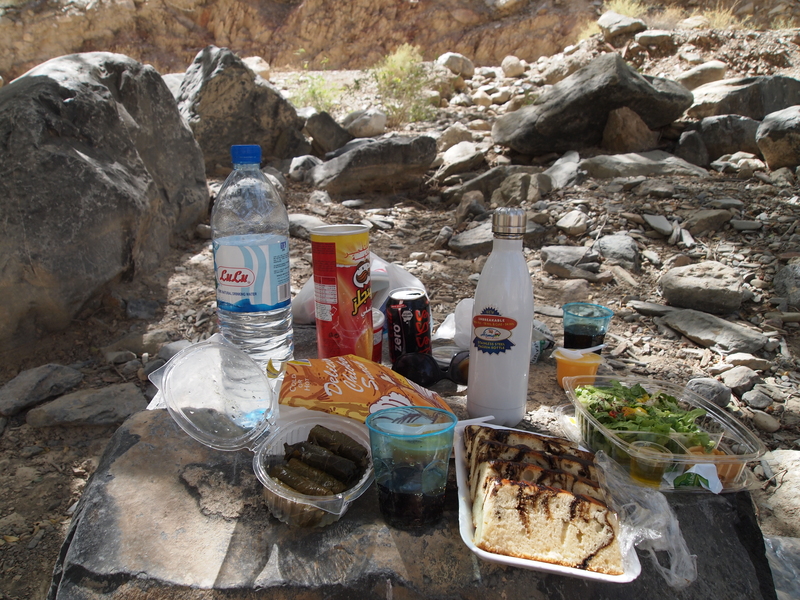 We stop at the bottom of another wadi, where we have a picnic of samosas and Greek salad (GREECE!!) and drinks. 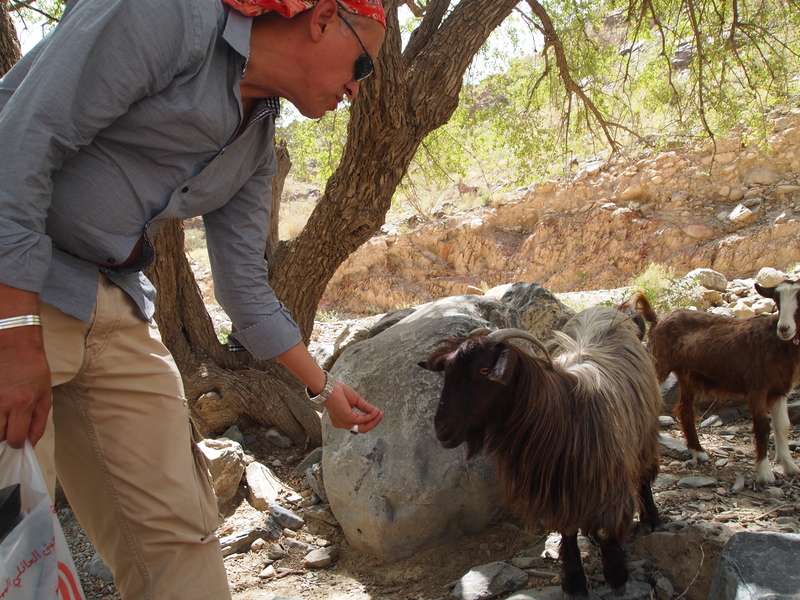 Some goats hang out with us and keep trying to steal our lunch until Mario reprimands one of them. 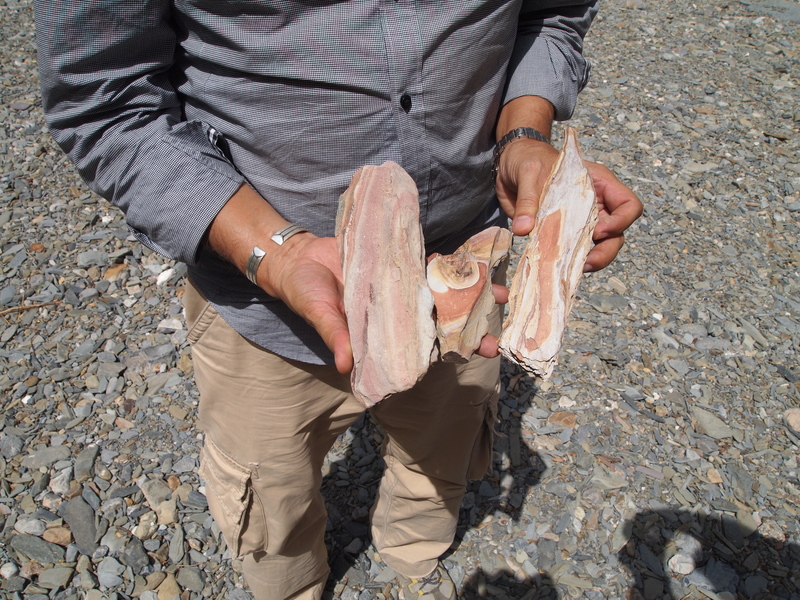 Mario walks around in the wadi and finds beautifully painted rocks to add to his extensive collection of seashells and rocks. After a lazy lunch we continue up another steep incline, where down below we see Snake Canyon crisscrossing below us. It’s GORGE-ous! Meanwhile the car is still making the loud shrill noise but seems to be functioning okay. 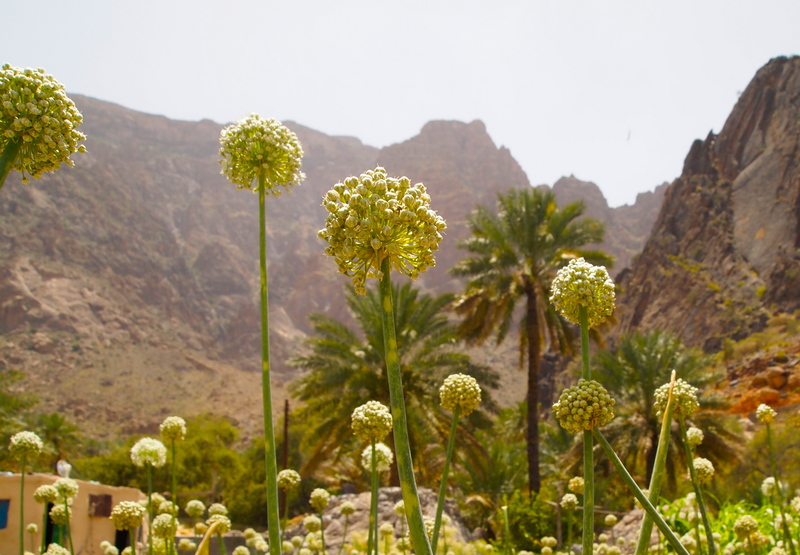 We continue on quite a while until we descend to the bottom of the wadi and drive along on bumpy gravel and rock roads. Suddenly, a new noise joins the shrill noise. 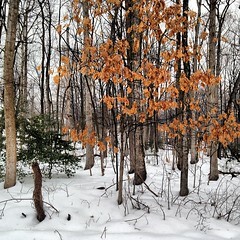 Now it sounds like something is dragging along the ground, making a loud AWFUL noise to add to the cacophony. We all get out and look under the car, but we don’t see anything dragging at all!! We can’t figure out what it is, but it just gets louder and louder. I cannot wait to get to the paved highway, where hopefully that sound will stop. When finally we reach the paved highway, I step on the gas, hoping the sound will disappear. Instead it gets louder. The console between the driver and passenger seat is shaking like there is no tomorrow. Mario insists that we will stop in Rustaq and have a mechanic look at it. However, it is only 3:00 and we know the story. In Oman, most businesses close between 1:00 and 5:00 because of the heat, so it is unlikely we will be able to find anyone to look at the car. We will likely be stuck sitting outside in the heat waiting for a garage to open. 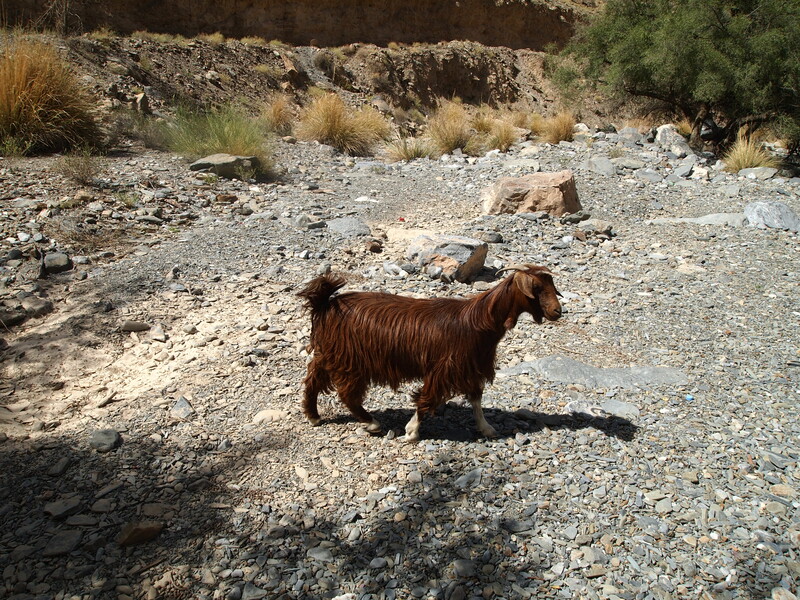 Finally, we arrive in Rustaq and lo and behold! There is a garage open. A Pakistani mechanic puts the car over a big hole in the ground after Sultan takes the guy on a test drive. He apparently makes some adjustment to a thingy in the middle of the car holding the drive train. Hmmm, I don’t know a thing about cars, so don’t know the terminology. But apparently, when I hit that rock, the middle differential bearing (??) got twisted and turned and that’s what was making that hellacious noise. The guy straightens it out, charges me 5 rials, and Al-Hamdullilah, we are on our way! We drive straight to Al Musanaah, where we check into our little chalets at the Gulf Sand Hotel and drink a little wine. We’re all celebrating our success at making it safely over the mountains. I’m having a drink of sweet relief that something serious isn’t wrong with my car. We then take naps in our respective chalets, and later go for dinner at an Indian restaurant in town. Later, Sultan heads off to crash while Mario and I sit and talk about our writing endeavors; I tell him about the characters in my novel, including my Egyptian character who reads a medical encyclopedia to learn English and thinks he has every disease he reads about. Mario tells me about an interesting short story he wrote called “Buenas Noches Manuel.” It’s about an old man who decides he doesn’t want to live anymore because he’s alone and tired of life. He has an older sister who lives near him and as he plans his own suicide, he’s oblivious to his own sister’s parallel plans. Buenas Nochas, Mario, Sultan and my faithful little GMC Terrain! 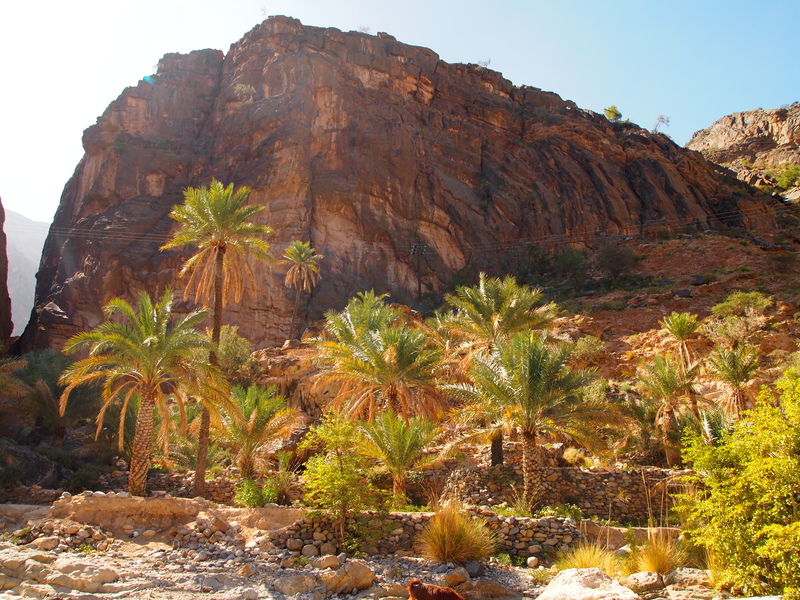 Thursday, April 26: Today we begin the road trip of all road trips, across the Western Hajar Mountains, through Wadi Bani Awf, into Balad Sayt, with a brief stop at the exit to Snake Canyon. My fellow adventurers are Tom and Kathy, colleagues and friends from the university. We start before 10 a.m., after making a stop at Lulu for picnic stuff, heading toward Al Hamra and up into the brown & jagged Hajar Mountains. 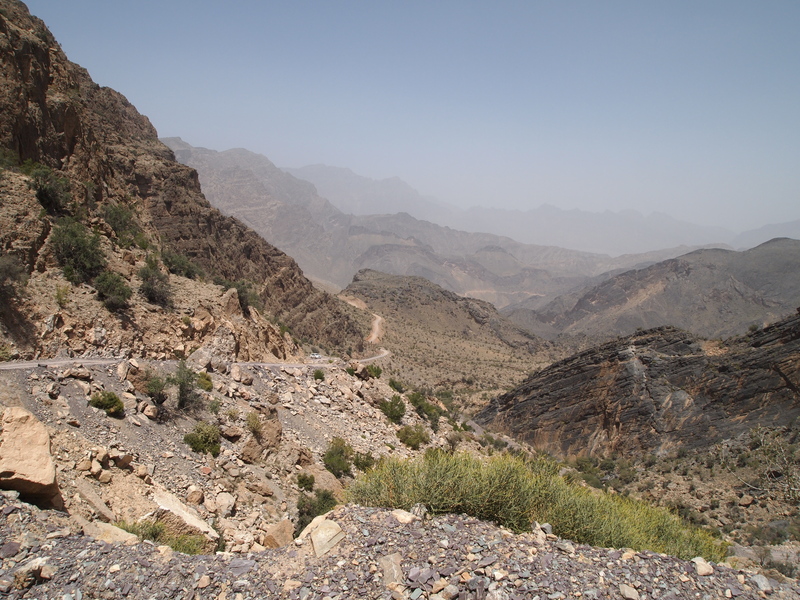 The road from Al Hamra to the spine of the Hajar mountains is paved and, though curvy, is not too difficult. At the top is a lookout point, Sharaf al Alamayn, where we get out and find a big Omani family being buffeted about by a strong wind. We ask the grandfatherly guy in the group if we can take his picture and he allows it, though the women are too shy to pose. Immediately upon leaving the lookout point, the road turns to an unpaved road with no warning and curves suddenly to the right. This is the same point where I almost drove myself and my two sons over the cliff in January! This time I’m ready for it and I warn Tom, who is driving, what to expect. We make the transition smoothly this time around and start heading down the edge of the steep mountain into the valley below. It’s a long drive, winding along the edge of cliffs and atop sheer drop-offs, but the view is spectacular. 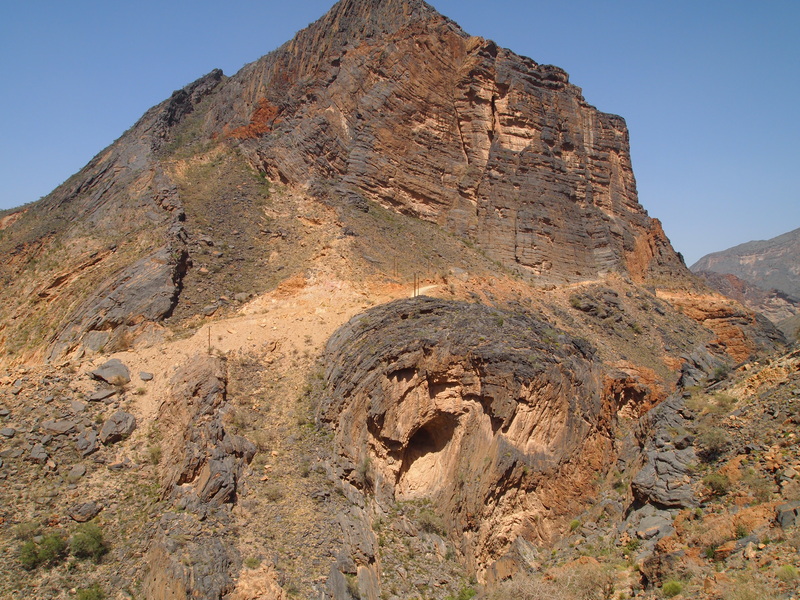 We stop soon after the paved road ends to take photos and to marvel at the crazy rock formations that make Oman a geologist’s heaven. Geologists love Oman because the lack of plant cover makes it easy for them to observe geological phenomena without any barriers, according to Oman Off-Road: “The jagged Hajar Mountains, which form a backbone from the north-west to the south-east of the country, are composed of ophiolite rocks that rose from the ocean bed under the influence of volcanic eruptions in the former Sea of Tethys. The beaches of this prehistoric sea were pushed into folds, a phenomenon that is easily visible in many places. 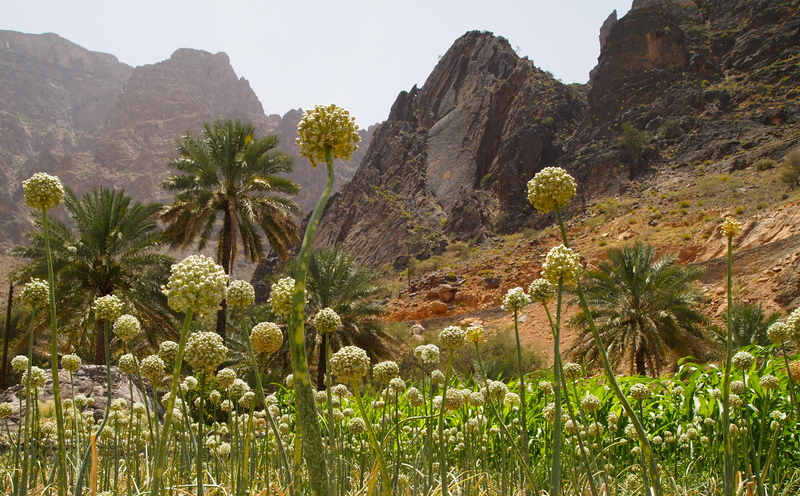 These limestone mountains contain marine fossils, like corals and sea urchins.” For more information about Oman’s geology, see The Geological Society of Oman. At one point as we’re driving, we see a relatively new Toyota Land Cruiser at the bottom of a small mountain, all banged up. Someone must have taken one of the turns too quickly and gone over the edge. 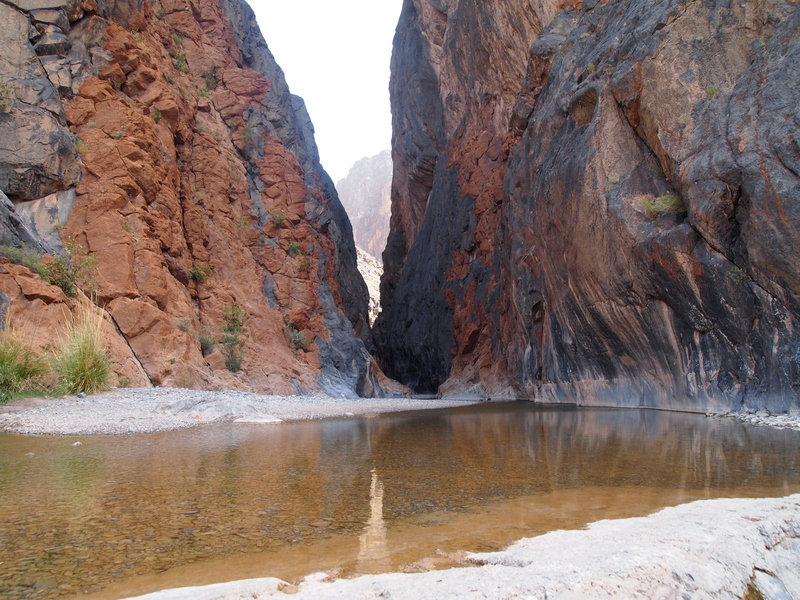 We clamber and wade through a narrow canyon filled with boulders and pools. It takes us a while to make it through. The water is thigh-high in spots and we get the bottoms of our pants, as well as our shoes, soaked. Several times we have to climb along narrow ledges with our bellies up against the canyon walls, using hand-holds and inching our way along. You can see more about our adventure going through the canyon in the post: 52 pick up: success (aka overcoming adversity). 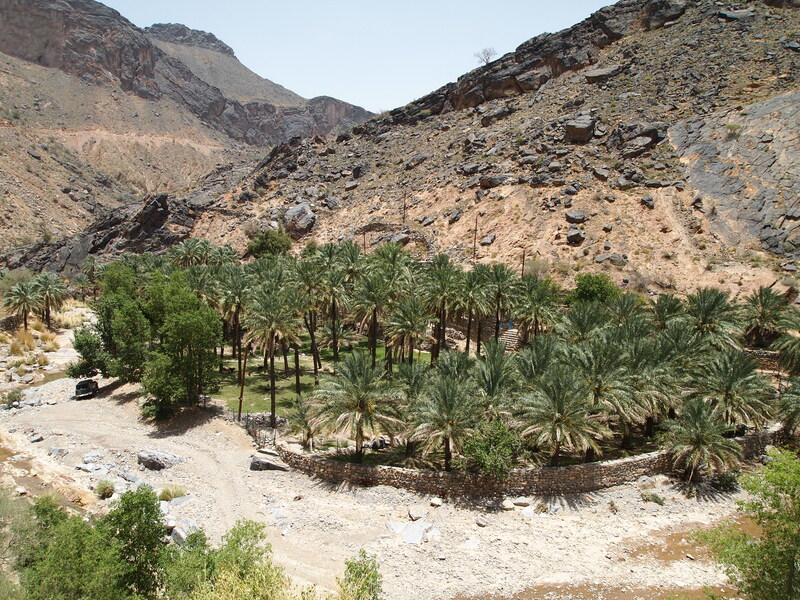 After our adventure through the canyon, where Kathy is now shoeless, we come out into a kind of deep bowl in the mountains, where the picturesque village of Balad Sayt sits comfortably with its plantations of date palms, banana trees, onions, and other plants. It looks like many of the fields were harvested since the last time I was here, as they are barren and brown. Still, the village is lovely. 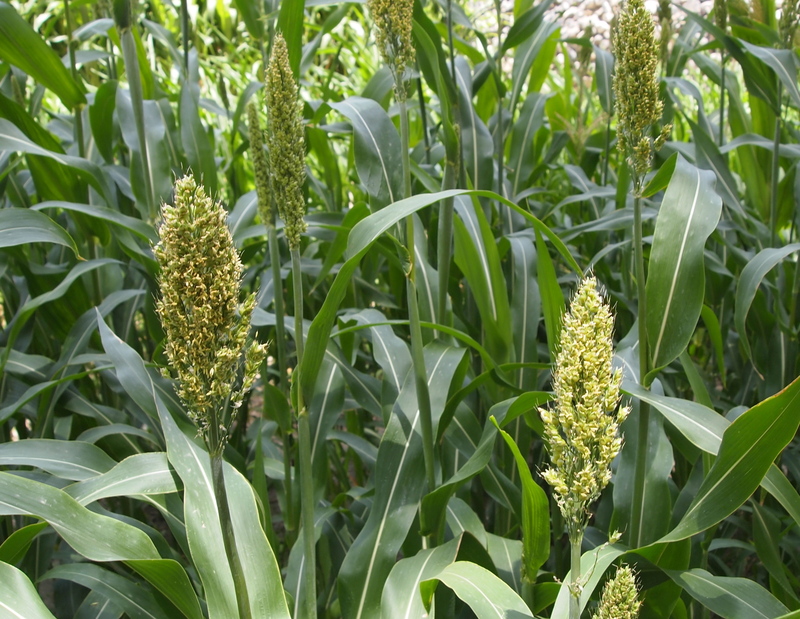 We take a long walk through the village and around the perimeter and through the fields. At one point we lose our friend Tom and wonder where on earth he has disappeared to. Kathy is still having a bit of a hard time walking through the fields in the huge plastic Pakistani’s sandals she borrowed. We wander and wander, enjoying the slight breeze and the beautiful views in this lovely village. We run across a bunch of Pakistani workers in bright red overalls digging a trench through the village and laying some kind of flexible piping, possibly for water. I come across a cool looking ancient Toyota truck next to someone’s house. Finally, we spot Tom across a big field and wave and holler to him. He comes to meet us halfway and then leads me back to an excellent vantage point up a large rock outcrop. He and I climb up there and take some pictures from up high. Meanwhile Kathy sits along the roadside hoping to catch a ride to our car. 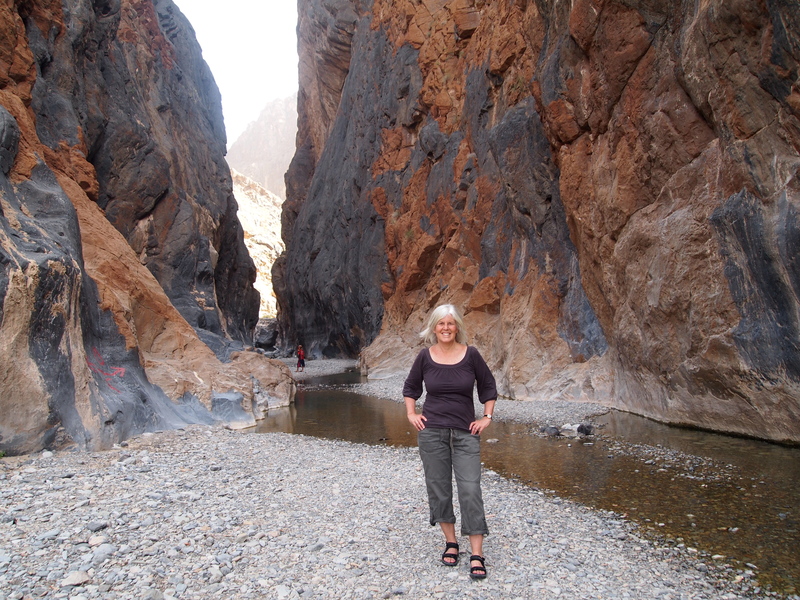 With her shoeless and aching feet, she can’t abide the idea of walking back through that canyon. Finally, she is able to persuade one of the villagers to drive her and me back to our car, while Tom goes on foot back through the canyon to pick up the shoes Kathy left behind. 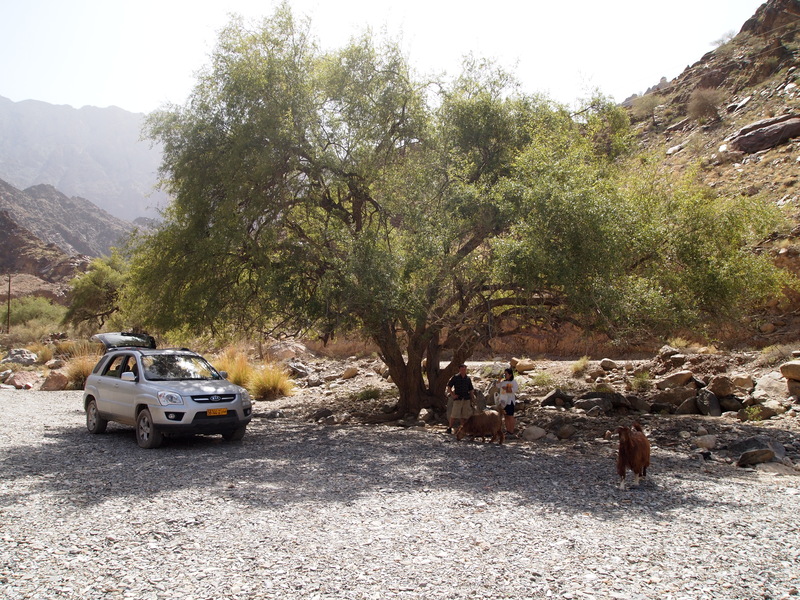 We continue our drive through the mountains, along a road at the top of a steep and precipitous canyon, and descend down into a wadi where we find a pretty shaded picnic spot. We park the car and munch on spring rolls, cheese samosas, dolmas, Pringles, mango pudding, marble cake, salad and a Coke Zero, all spread out over a rock. A couple of goats drop by to pay us a visit and beg for food. After our picnic we begin our climb back up the mountain to the other side of the steep canyon. We drive along its edge. The views are amazing in every direction. 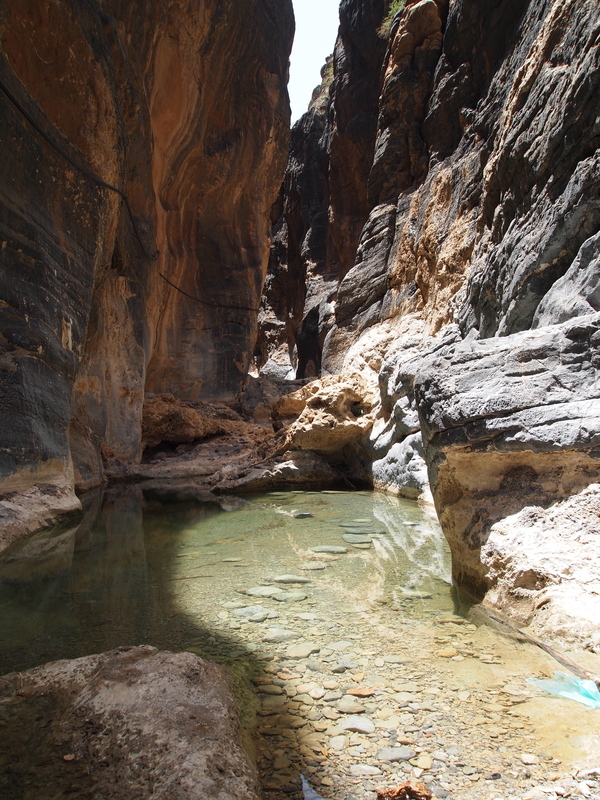 We can see below us the cut in the rocks that’s known as Snake Canyon, or Wadi Bimmah; many adventurers trek through this narrow canyon involving daring jumps into rock pools and a lot of swimming through ravines. 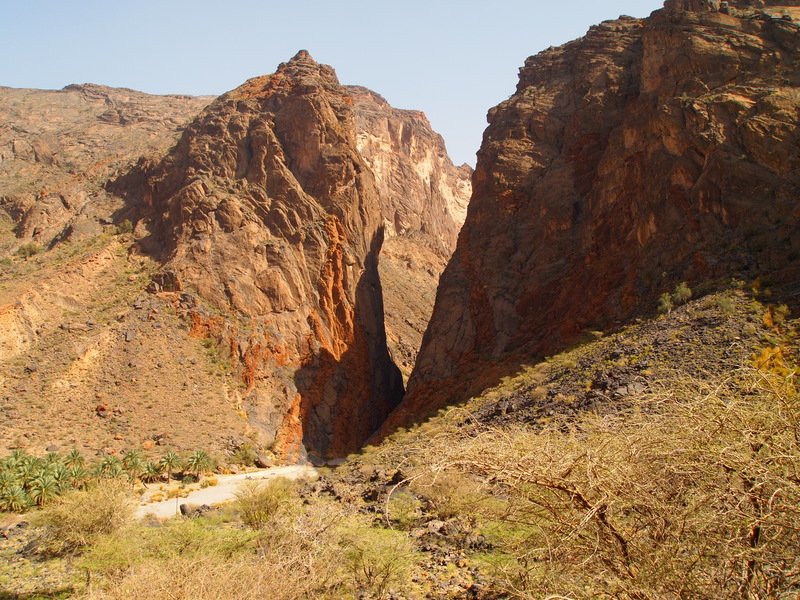 Over the years trekkers have lost their lives in this canyon in flash floods. People say that the name Snake Canyon comes from the twisting shape of the canyon rather than from any slithering reptile inhabitants. Finally we start descending from the heights and eventually we come to a small village full of palm trees at the point where Snake Canyon opens up into the valley. 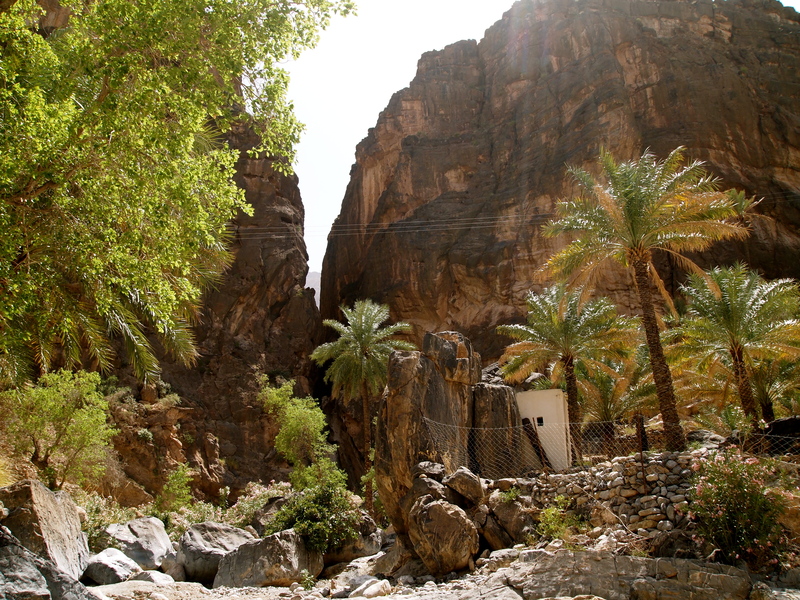 We drive through the village and the wadi and go to the exit of Snake Canyon and take a short walk into the opening. 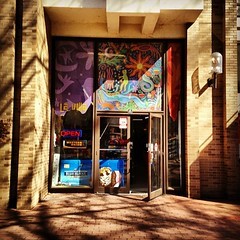 It’s quite beautiful, shady and cool inside and we wade through the pools cooling our feet. 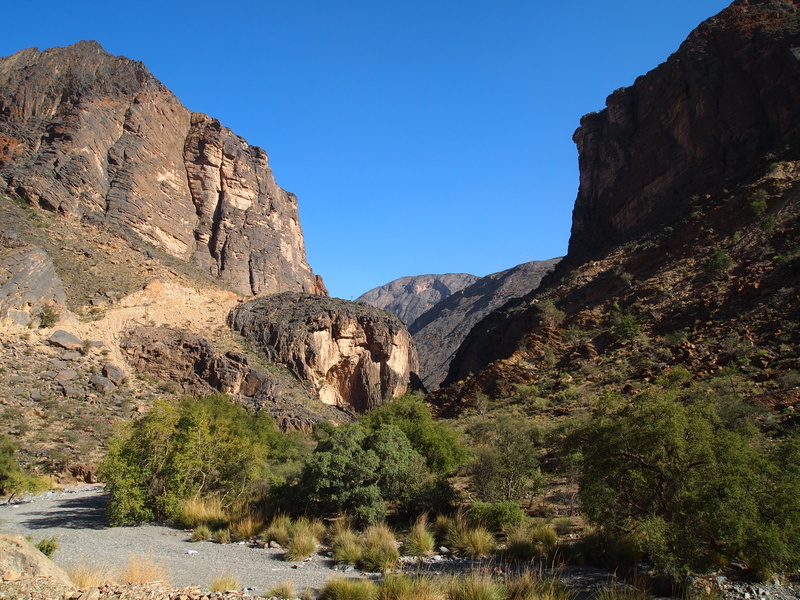 Soon, after meandering around at the canyon opening for a while, we hop back in the car for the remaining drive to ar-Rustaq and Sohar. We pass by a few more interesting things, but overall, the road reaches the valley floor and flattens out for the remainder of the way. 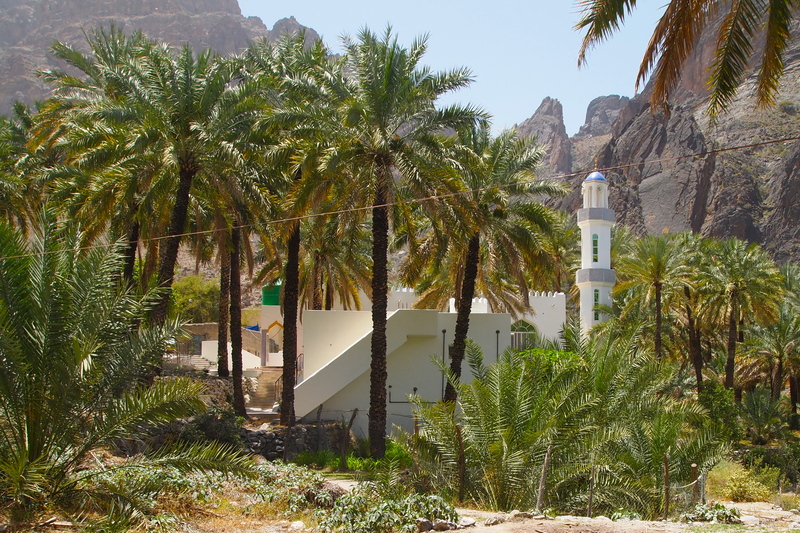 We pass Rustaq and then head out to Al Musanaah, where we head northwest along the coast highway to Sohar. 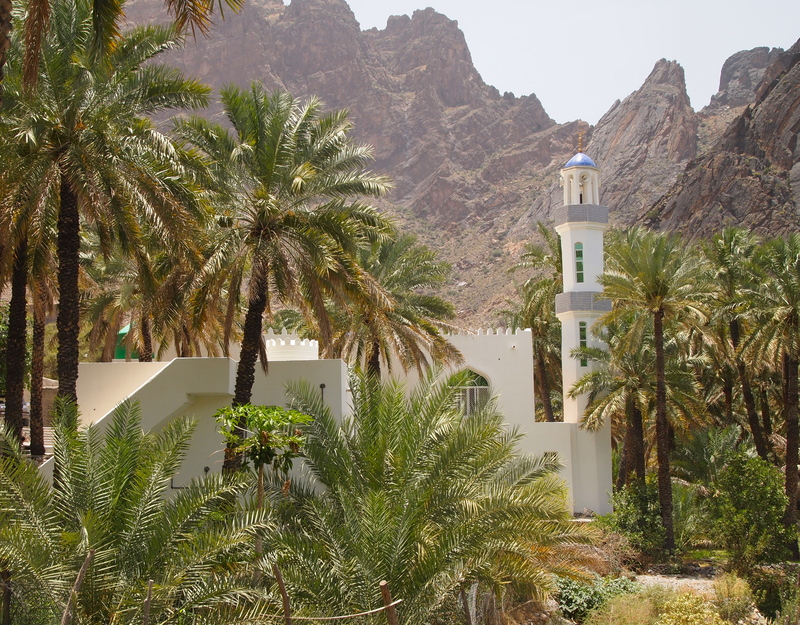 Sohar is the major city in northern Oman, on the Al Batinah coast. In Sohar, we find a hotel called Butterfly Luxury Boutique Hotels, next to the more expensive Sohar Beach Hotel, and we get a room for three for 60 rials. We put our things in the room, take showers, and then head out for a dinner at the Green Palm restaurant that advertises Labanese food, but actually doesn’t seem to have any such thing on the menu. Our meal is totally forgettable. 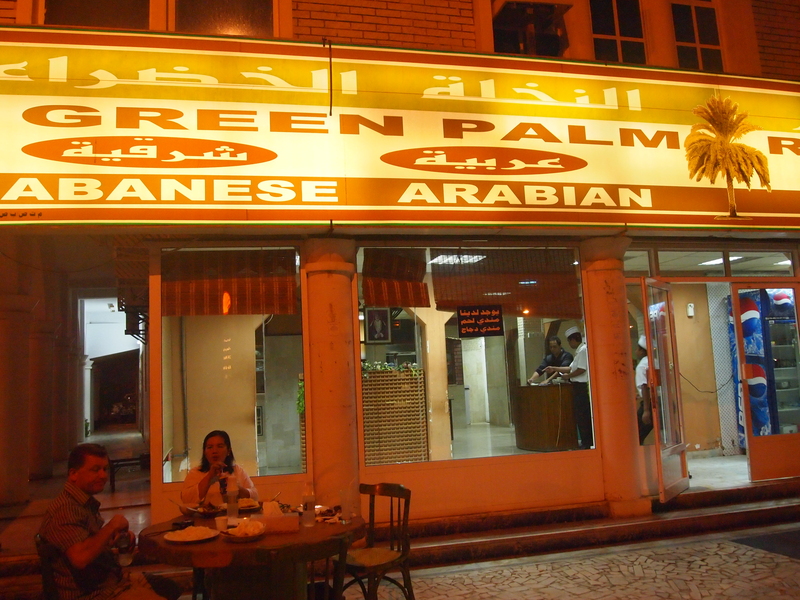 The Green Palm Labanese Arabian restaurant in Sohar. Mediocre at best. 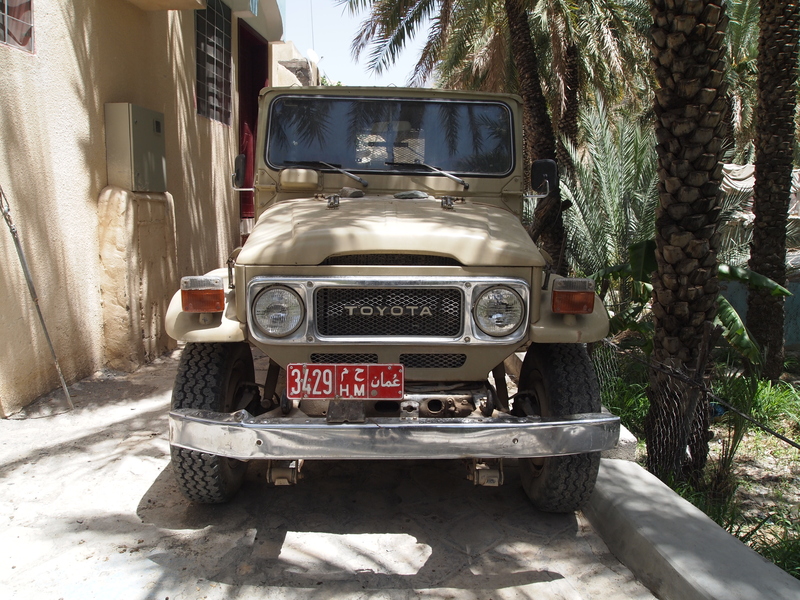 We drive down to look at the Sohar Fort, which according to my Rough Guide Oman is open and houses a museum. It’s described as a whitewashed fort that sits on a hill. It doesn’t look like it’s been whitewashed for some time, and the keep is under construction, covered in scaffolding; it’s definitely neither whitewashed nor does it house a museum. We actually drive by it numerous times, brushing it off, denying that “thing” could be the fort. 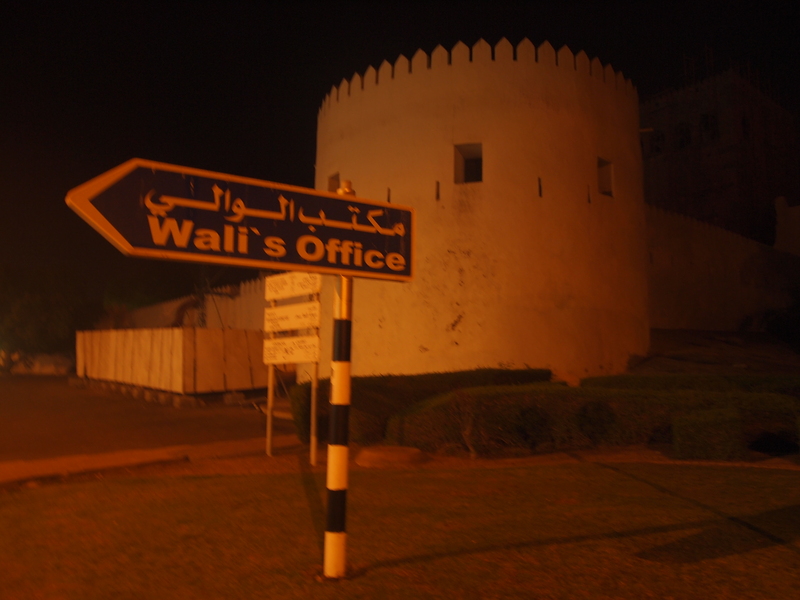 Finally we read it’s across from the wali’s office, which Kathy and I remember seeing a sign for, so we go in search of the wali’s office. We find that the fort is in fact that thing we were brushing off. Oh well, not much to look at. Next door is a gold-domed mosque which seems quite pretty and I vow to photograph it tomorrow. We return to our hotel, where I fall asleep the minute my head hits the pillow. What a day! 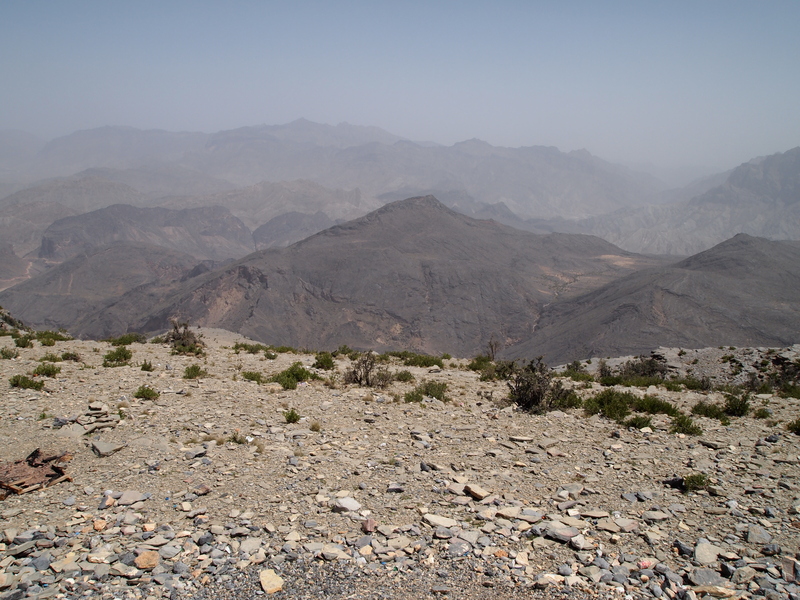 Today, two of my friends, Kathy and Tom, and I ventured across the Hajar Mountains in Oman. 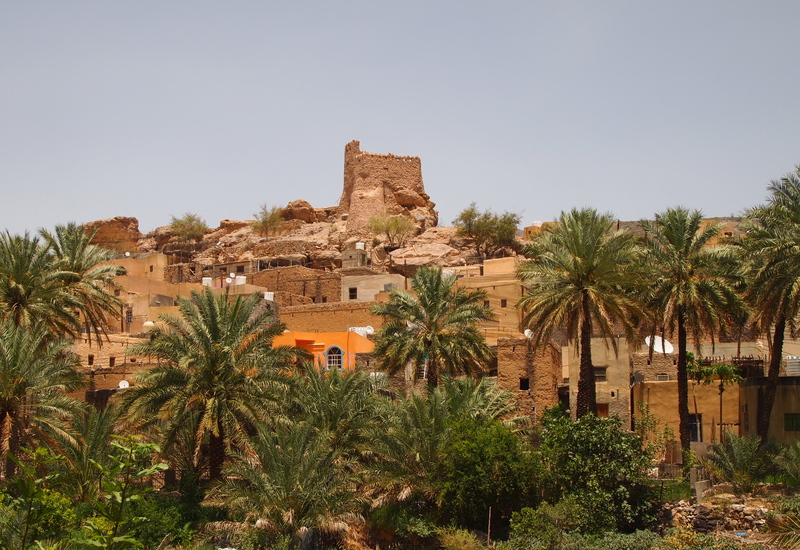 We drove over a treacherous dirt road along the edges of steep mountains through Wadi Bani Awf toward an idyllic little village called Balad Sayt. In order to get to this beautiful village, we had to clamber through a pool-filled canyon to emerge on the other side in an open bowl surrounded by mountains. The village with all its lush green plantations sits in the middle of this bowl. I guess this might be where Kathy took off her shoes in the canyon?? Walking through this canyon involves wading through some thigh-deep pools, climbing up through crevasses over deeper pools, and hugging the canyon walls while climbing along narrow ledges above other boulder-filled pools. It’s quite scary in some points because of the poor footing and the slippery rocks, which could easily result in slipping or sliding into one of these pools. Slipping could in turn lead to broken bones or ruined cameras. My friend Kathy at some point along the canyon walk decided to leave her shoes on one of the ledges in order not to ruin them while wading through the pools. Had I known she was going to do this, I would have advised her against it. 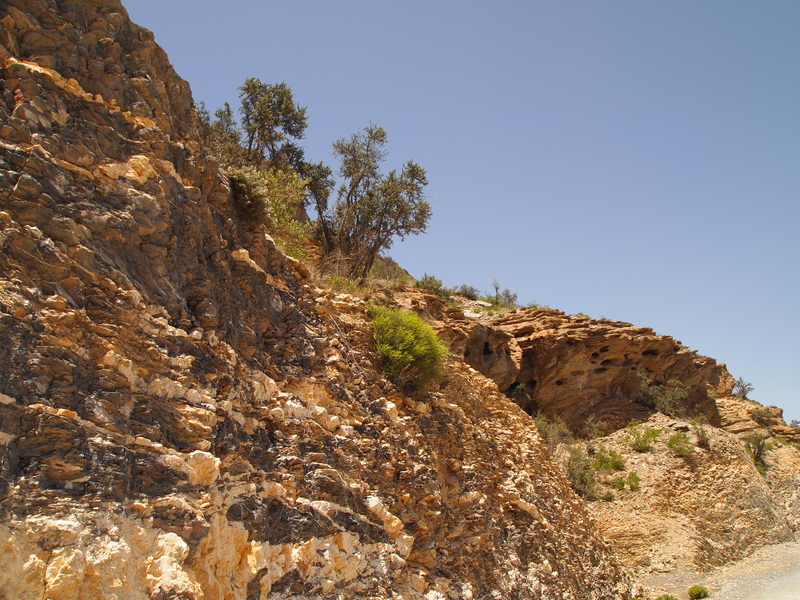 I knew from having been here before that there was still a long gravelly path ahead in the canyon, as well as a lot of walking through the village of Balad Sayt. I didn’t realize she had discarded her shoes until I heard yelping behind me as she started walking over the gravel path. I looked and she was gingerly walking over the hot gravel and boulders along the path in her bare feet! Several times she wanted to give up and just sit and wait for Tom and me. I protested, saying she HAD to see the village; we didn’t come all this way for nothing!! 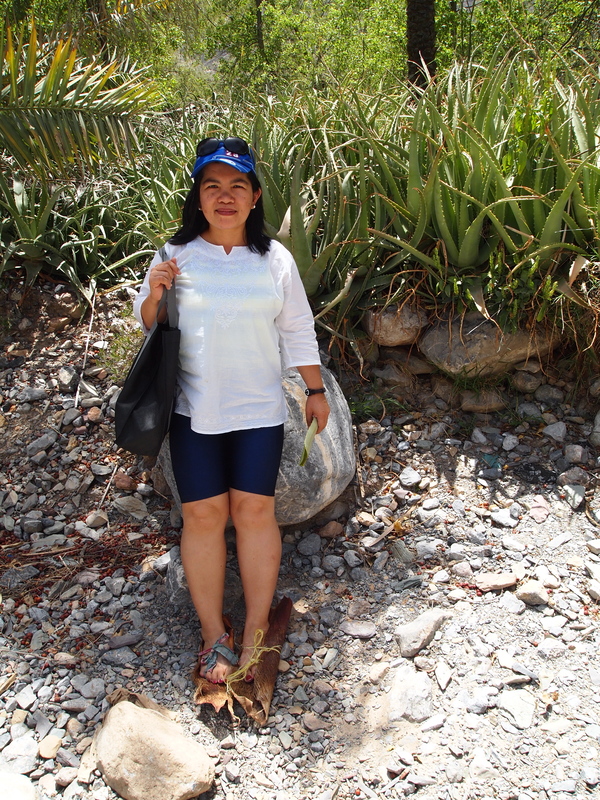 So, with real pioneer spirit, she tried to devise different methods to protect her feet so she could continue walking. 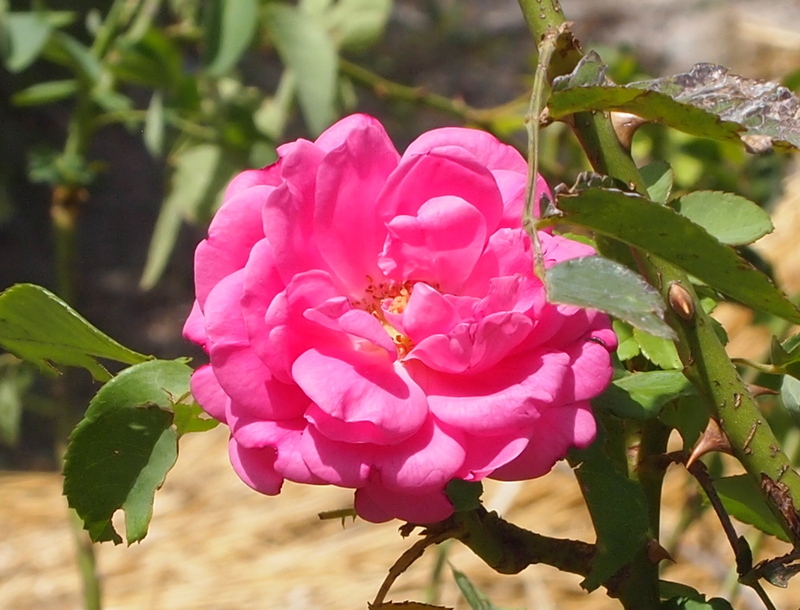 First she found an old rotten piece of wood which she broke in half into two foot-sized pieces. She made her way by lifting one foot and tossing the board in front, lifting the back foot and then picking up that wood and throwing it in front, etc. As you can imagine, it was quite slow and tedious. For a brief time, she tried to use her towel as a kind of hammock for her feet, but that didn’t work very well either. Finally we came to the road to the village, where at least she could walk on pavement. However, the pavement was quite hot and she still had lots of walking ahead. She happened to find some thin flexible bark and pieces of yellow twine lying in a jumble near the canyon exit. I guess it’s a good thing there is not good rubbish disposal in Oman. She fashioned two makeshift shoes out of the bark and tied the bark to the bottoms of her feet with the twine. After she did this, we walked slowly along and happened upon a garden of aloe vera plants, one of which she picked and rubbed onto the bottoms of her soles. Meanwhile, we were all having a great laugh over the entire situation, which was really quite ludicrous! Some Pakistani guys in a house we passed along the way later brought her some deteriorating plastic slippers which were huge on her, but she wore them anyway as we walked through the gardens. Later, she wondered how on earth she would get back through the canyon. There is a way to get out of the village without going through the canyon, but we needed a car and our car was on the other side of the canyon. She said she just knew we would find someone who could drive us to the other side. 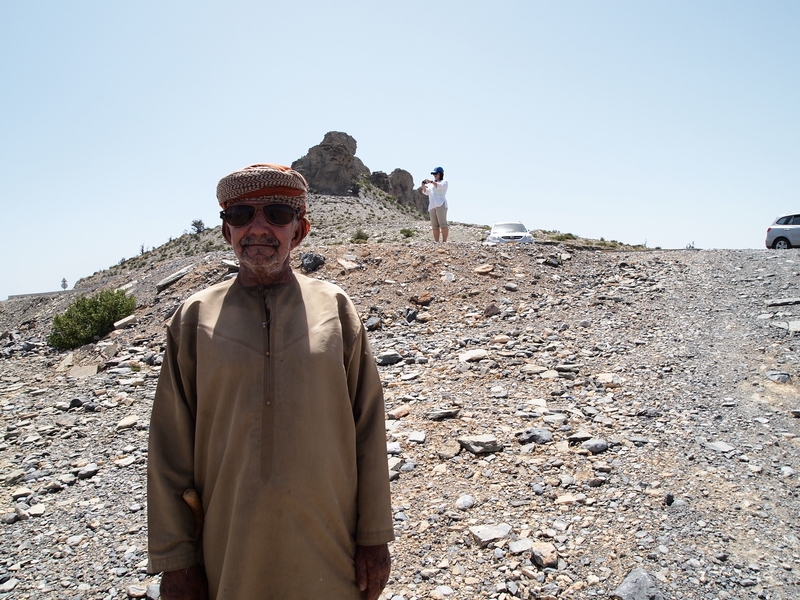 We figured our friend Tom could climb back through the canyon to pick up the shoes she left halfway along the path, while we drove back to the car with some kind-hearted Omani. Sure enough, while sitting along the edge of the road, she found a villager going to Ar-Rustaq and she talked him into driving us back to our car. Talk about SUCCESS (aka OVERCOMING ADVERSITY). I don’t think I’ve ever met someone with so much faith and determination. This girl definitely gets the award! 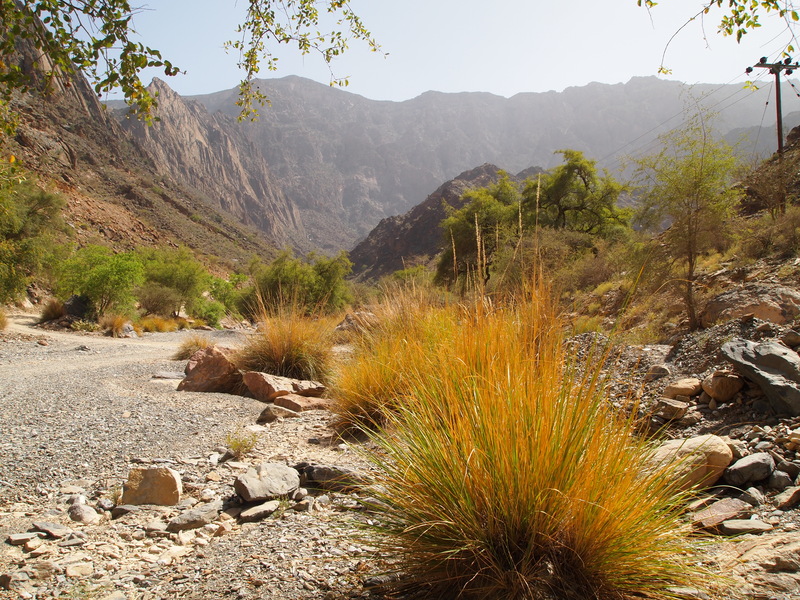 Monday, January 23: Today I tell my boys we are driving over the Wester Hajar Mountains on dirt roads, using my Oman Off-Road guide, from between Al Hamra and Al Hoota Cave in the Al-Dakhiliyah region to Rustaq in the Al-Batinah region. I am a little worried about accomplishing this feat, but only because I have heard I “might get lost.” But since I have my trusty guide with a pretty detailed map and instructions, I figure we shouldn’t get lost. We will double-check all landmarks along the way and if we can’t find any one of them, we’ll simply turn around and come back the way we came. 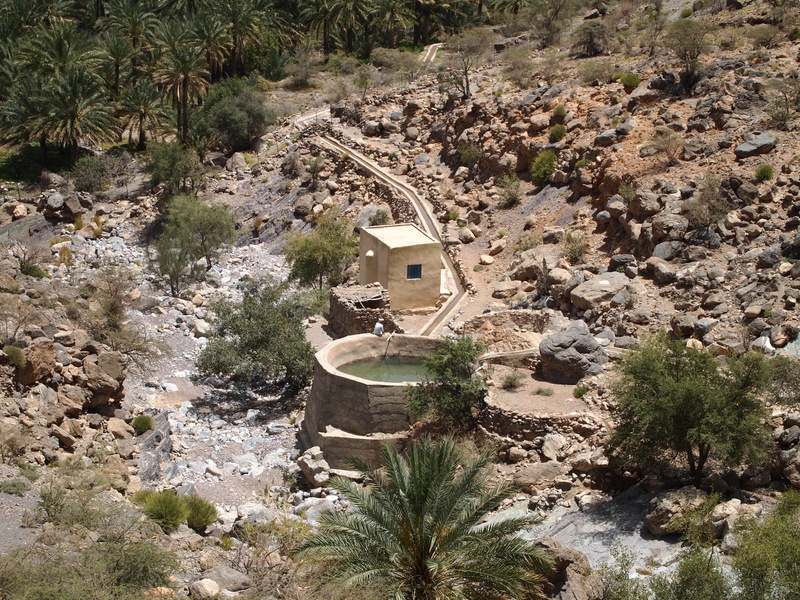 The plan is, once we get to Rustaq, to go visit the hot springs there and maybe make a quick stop at Nakhal Fort. Our view at the top of the mountain before we almost go over the edge!! My friend Adil, who I met at Wadi Bani Khalid in November, and who lives near Rustaq, drove over this road one afternoon and popped in, with all his friends, to pay me a visit in my old villa. He made it sound like it was no big deal, just an hour and a half, he said, and only about 70km. No problem. Things start out fairly well, as we take the road toward Al Hamra, and then take a right on a road signposted for Hat and Balad Sayt. This is a good tarmac road that climbs up the mountain in a series of switchbacks. At the beginning of this road, I think it says 38km to Balad Sayt. At the top of the mountain, right before the point where the map says the road turns to a dirt track, we stop at the viewpoint of Sharafat al Alamayn and get out of the car to see the spectacular view, considered one of the finest panoramas in Oman, across the entire Western Hajar and down towards the coast below. The wind is blowing hard and the air is so frigid, we feel a little worried at this point that we haven’t dressed properly for this excursion. It is freezing!! We get back in the car and turn on the heat and start driving. At the crest of the mountain, we see three bikers standing at the top, talking and checking their gear. Taking a break of some kind. As we drive by, we all three look at them and wave cheerily. The next thing we know, and not one of us sees this coming, we are bumping over a dirt road full speed ahead and heading toward a knee-high gravel embankment, more like a big bump, on the other side of which is a sheer drop-off. “Watch out! !” the boys yell. I feel it before I see it, the pavement giving way to dirt and gravel, because frankly I am just turning my attention from the bikers to the road. I see what is before me and it isn’t good. I turn the wheel toward the sheer rock wall of the mountain, away from what could have been a long precipitous drop to our deaths!! Oh my god!! 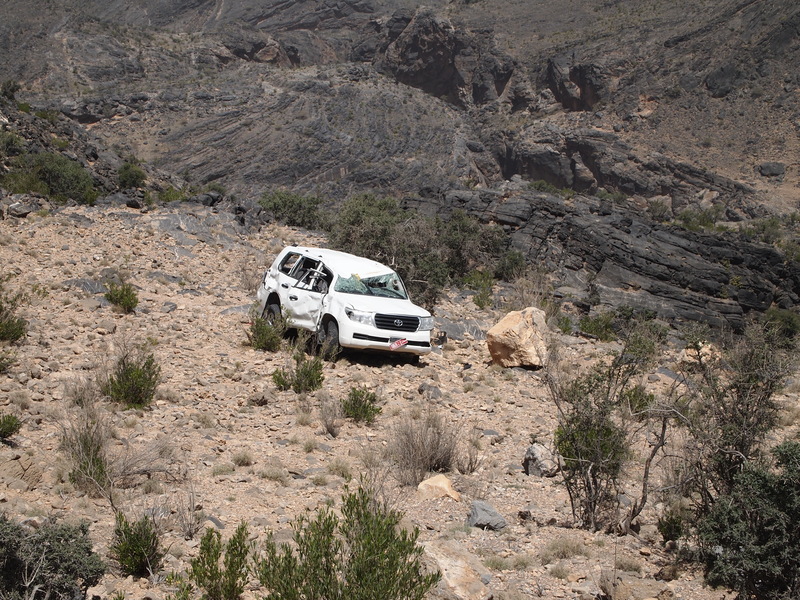 I almost killed myself and my precious cargo, my two darling sons, who have entrusted themselves to my care here in Oman! As soon as we can, we stop the car, and all of us take a deep breath. 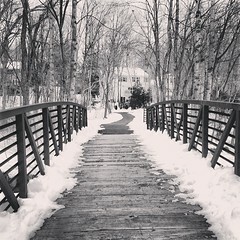 We are shaken and looking at the treacherous road ahead, wondering if it’s wise to proceed. We decide to go ahead, but slowly and carefully. We drive cautiously, using my 4WD numerous times to slow our descent down the steep-angled and bumpy dirt track. Luckily, a kind of guard rail of sorts is all along the edge, really just a long continuous knee-high pile of gravel, which gives us some feeling that we’re protected from going off the edge. I doubt that it would really stop my Terrain, however, from the pull of gravity and momentum if we lost control of the car. 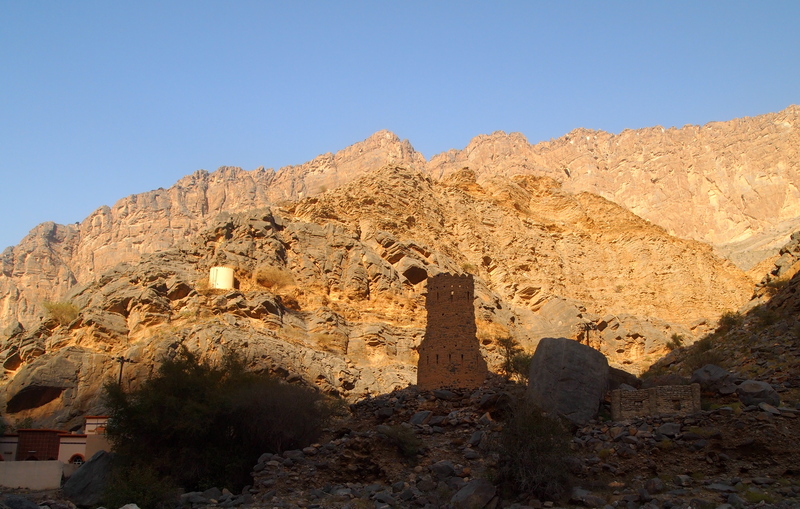 Oman Off-Road describes two ways to approach the village. They recommend the approach by foot, because “your first views of the town will come after you emerge from an improbable canyon cleft – it’s like discovering a lost city, seeing Petra for the first time.” Having been to Petra in November, and knowing just what it feels like to walk through a canyon and to come upon a hidden treasure, I can’t resist this approach. 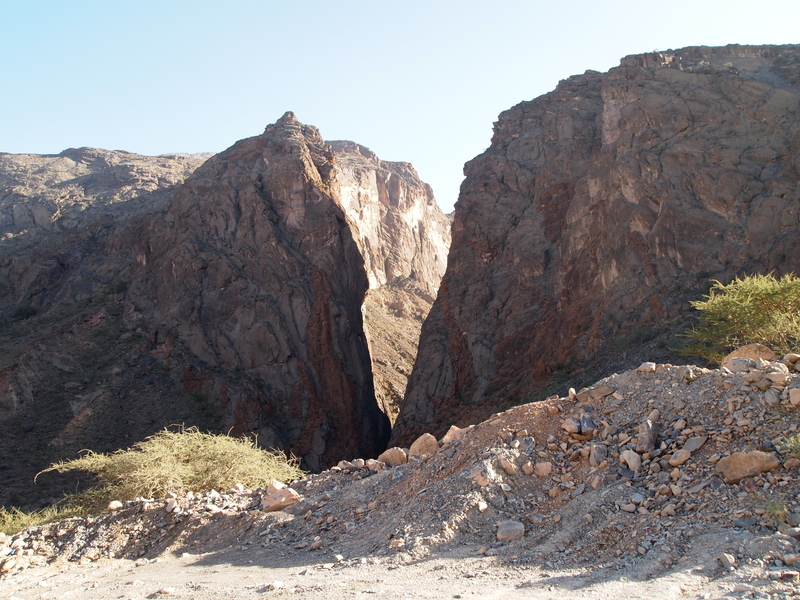 So, near the wadi bottom, we find the cleft in the canyon, park the car, and climb up into it, following an Omani who we have seen gracefully gliding up into the canyon. It turns out there are many pools along the way that we must wade through. I roll up my pants legs all the way to my knees, and they still get wet. We have to wade through about 4 of these pools, some quite deep. Finally, after quite an adventure, we arrive in the beautiful village, which is lovely but is not quite Petra!! The actual view as you emerge directly from the canyon is not that magical, although after you’re well out of the canyon, we discover it is a totally charming little village. We come immediately upon some Omani boys shooting a gun at a target and they let both the boys shoot the gun. We then walk up through the village, where a young man comes out and introduces himself and then takes us on a tour through the village, beside the newly built mosque and through his own family’s plantation. 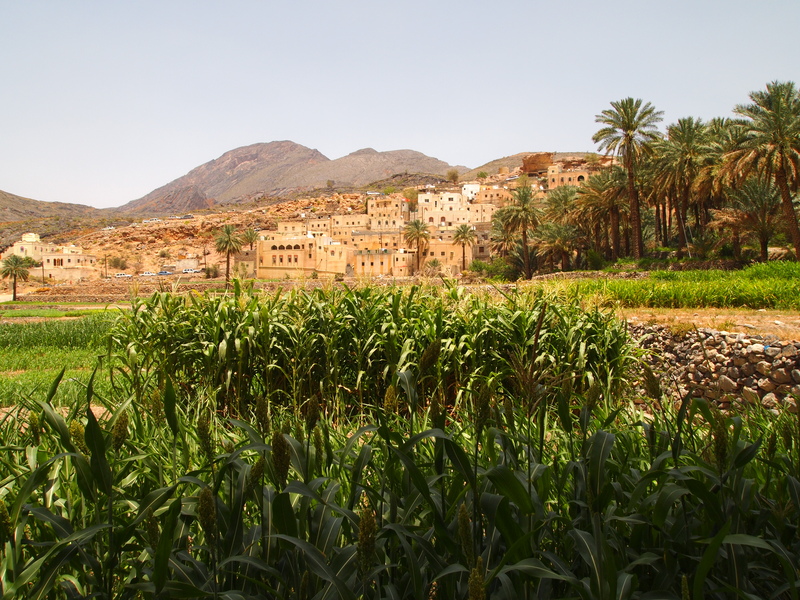 It is lovely, with terraced fields of crops set against the backdrop of the stacked village and the Hajar Mountains. 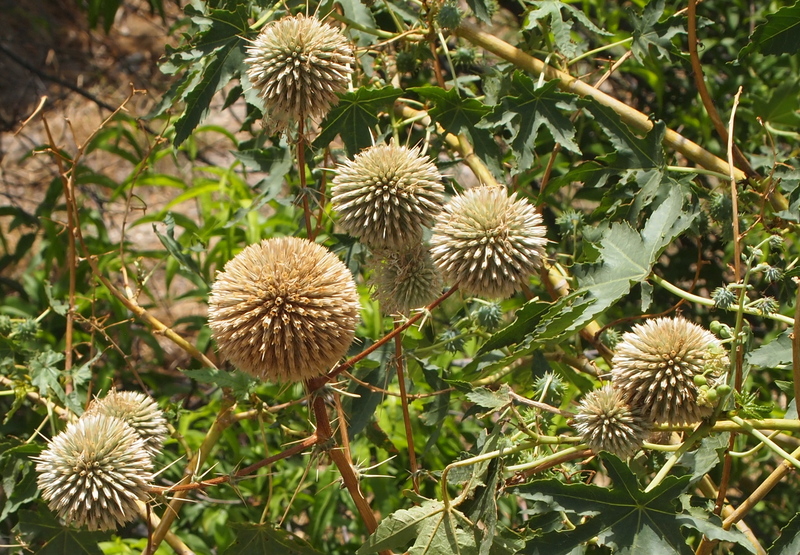 It sits in a bowl in the midst of the brown mountains, an oasis of lush greenery and golden houses. Shangri-La. 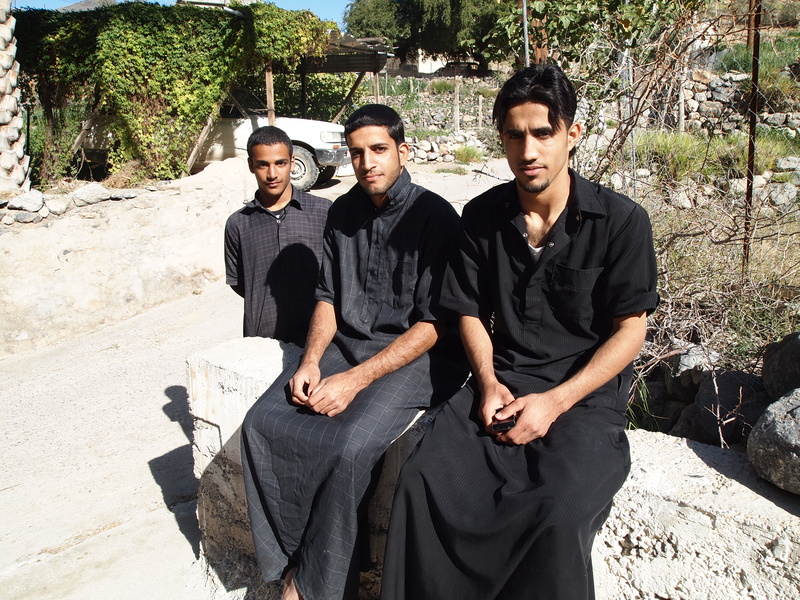 the young man from Balad Sayt, Adam & Alex in Oman. After our walk, I tell the boys I will wait at the entrance to the village while they go back through the canyon and the pools and get the car. 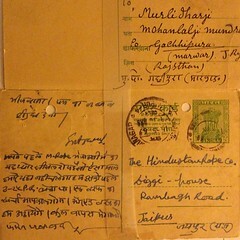 The young man who has given us the tour offers to accompany them and show them the way. I sit alone for a bit, but then several boys from the village join me. 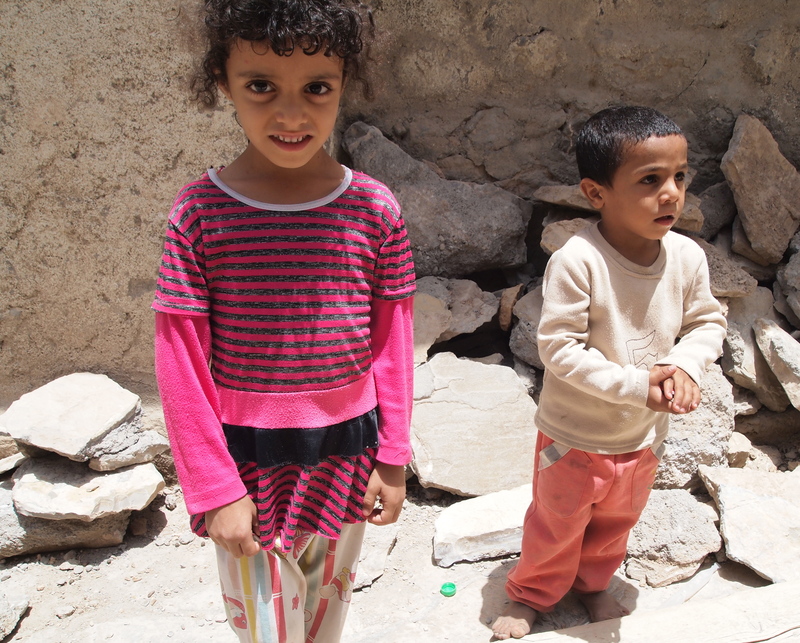 They can speak just rudimentary English, or none at all, so we just take pictures of each other and sit in silence. Finally the boys return with the car, and we take off for the second half of the drive. The girls we met earlier were right. This part of the drive is much more treacherous and scary than the first part! We drive along a dirt road on which one side is a sheer wall of rock, and on the other side is a straight drop-off into a deep and bottomless canyon. The views are unparalleled, simply spectacular, but driving the road is terrifying. 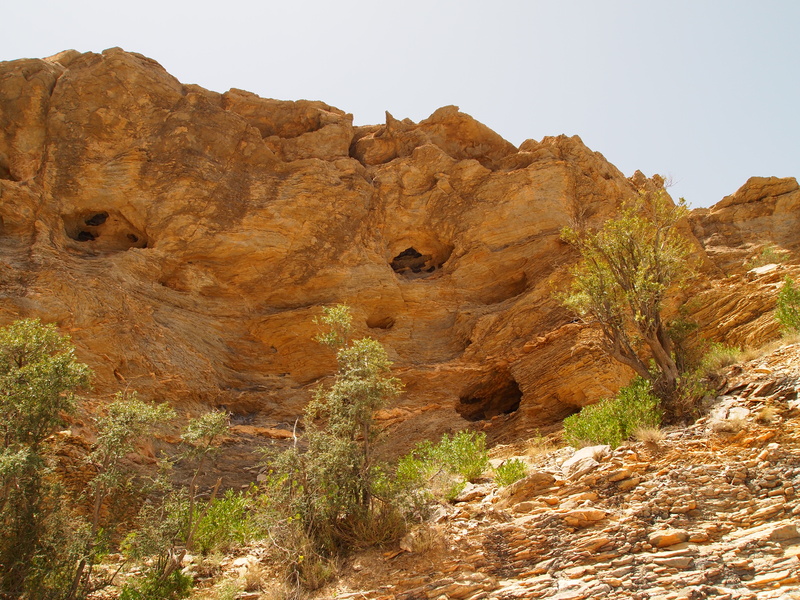 We pass by Snake Canyon (Wadi Bimmah), which takes its name not from actual slithering reptiles but from the twisting shape. The canyon is a popular destination for adventurous hikers, and supposedly involves daring jumps into rock pools and swimming through ravines. Apparently a number of hikers have died here from raging torrents caused by rain in the mountains above. I don’t think Snake Canyon will be a destination for me. Later the terrain finally flattens out and we pass by Little Snake Canyon, another smaller cleft in the rock face which is apparently easier to navigate than Snake Canyon proper. 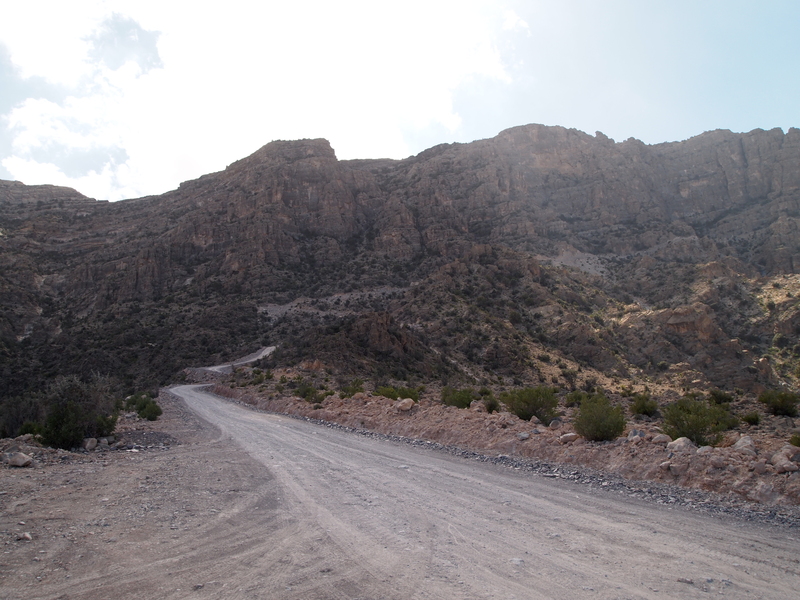 By the time we finally get to Road #13, known as the Ar Rustaq-Nakhal loop, it is 4:30 in the afternoon. We are too tired to search for the hot springs in Rustaq. 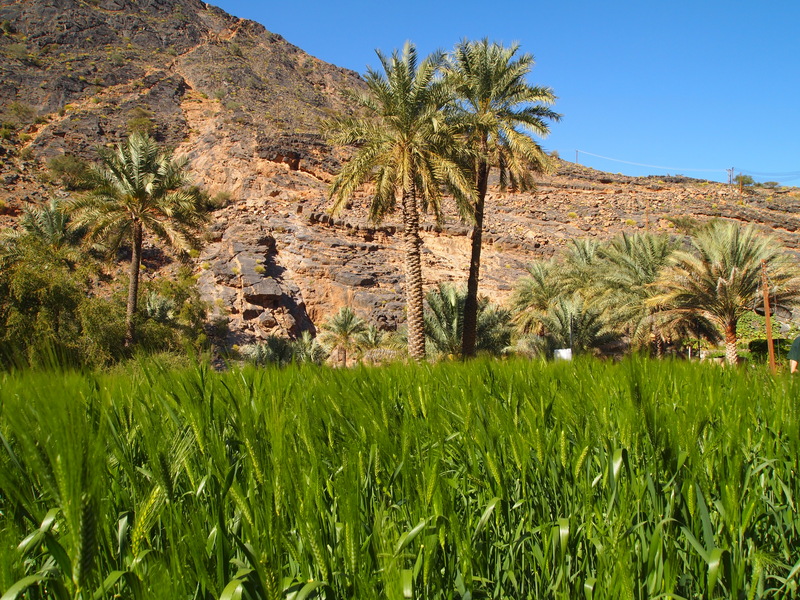 As a matter of fact, we don’t go to Rustaq at all, but head in the opposite direction, to Nakhal. I want the boys to see Nakhal Fort, but sadly, it closed at 4:00, so we can only see it from the outside. 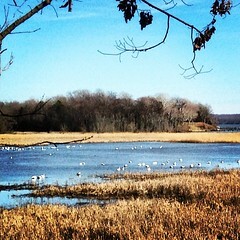 I love this little paradise in the middle of nowhere! We decide we all are starving, as we haven’t eaten all day, so we’ll go directly to Muscat to eat at the Turkish House Restaurant, one of my favorite restaurants in Muscat. We drive around and around in circles in Khuwair, and finally, by asking people walking along the road, we finally find it. Though the boys are a little disappointed in the lack of vegetarian options on the menu, they do find a delicious hummus platter on the menu that they devour happily. Food is always a happy ending.